Use our resources to learn a little about the man behind general relativity. Teachers, scroll down for a quick list of key resources in our Teachers’ Toolkit, including today’s 5-Question Quick Quiz on general relativity. 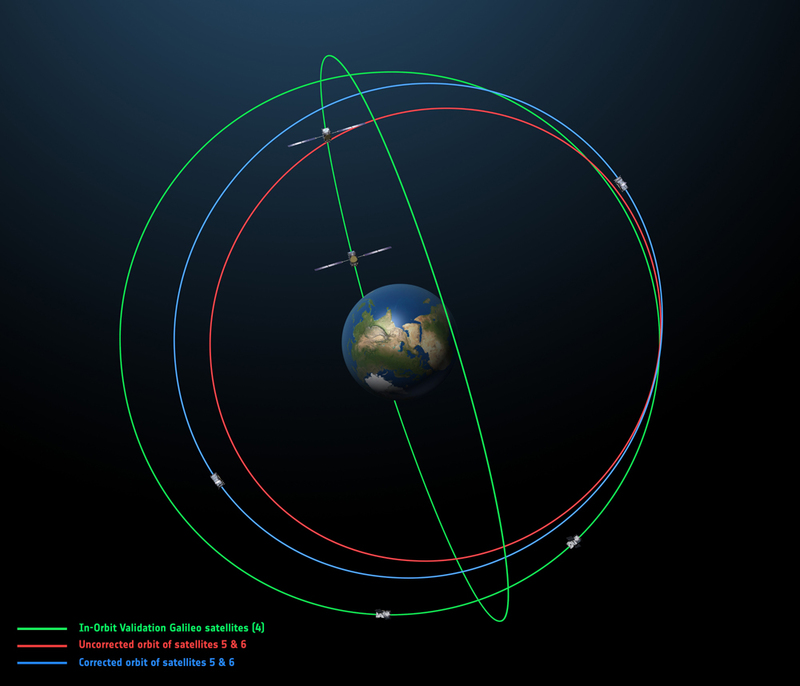 This illustration shows the off-kilter orbital paths of the Galileo 5 and Galileo 6 satellites. (The green orbital path is the ideal one, being followed by the first four Galileos as we speak.) The slightly elliptical orbit puts the new satellites in an unintentionally perfect position to do the world’s most precise tests of Einstein’s general theory of relativity. According to the Guardian, the newest tests of general relativity started out as “a total fluke,” because the satellites were launched for an entirely different purpose. What were Galileo 5 and Galileo 6 supposed to do? The grid here is spacetime, and it’s being warped by the gravitational field of Earth. The Galileo satellites will be testing general relativity, a theory that was published 100 years ago by rock-star physicist Albert Einstein. What is general relativity? Read this anniversary article from NASA for some help. Space and time are part of a single continuum, conveniently called spacetime. Spacetime is a changeable, “dynamic entity that can be distorted by any matter that is contained in it.” Massive matter (that is, anything with mass) can create a gravitational field around itself, so spacetime is distorted by gravitational fields. What parts of general relativity will the Galileo satellites be testing? What spacetime is it? Galileo’s passive hydrogen maser atomic clocks (like this one) are so accurate they will lose only one second every three million years. Why is gravitational time dilation an important concept for navigational satellites? Let Neil deGrasse Tyson tell you about it here, or let NASA tell you about it here. 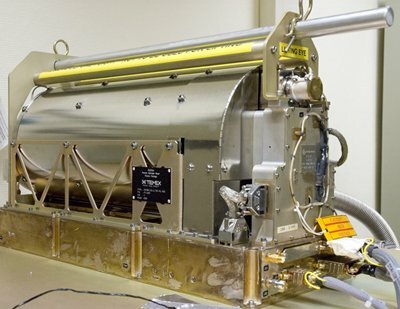 Satellite clocks speed up by about 35 microseconds every day. If gravitational time dilation was not taken into account, this would cause navigation errors of around 10 kilometers (6.2 miles) per day. These are Einstein’s field equations for general relativity. Good luck! 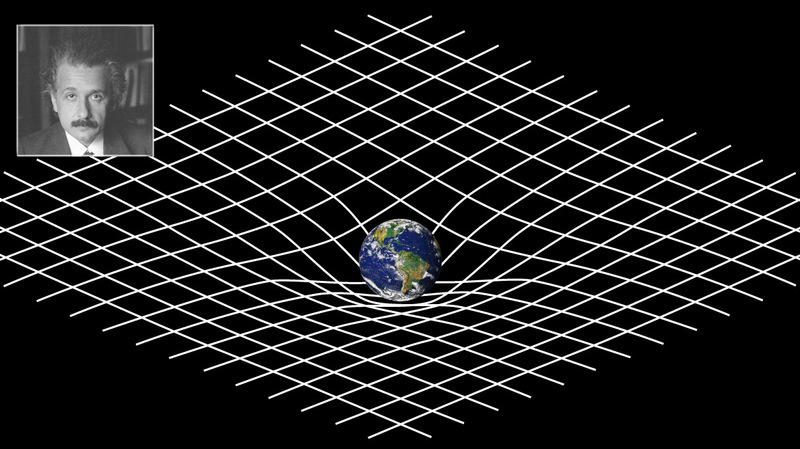 Image courtesy Wikimedia, great featured article on general relativity here. Is E=MC² part of general relativity or gravitational time dilation? No. Einstein’s field equations, a set of 10 equations which mathematically describe gravitation as a result of spacetime being curved by matter and energy, are the most famous equations used to explain general relativity. Curious about the general theory of relativity? You could do worse than listen to these lectures.